Home News New Dumbo and Timothy  Vynl. Set Coming Soon! New Dumbo and Timothy  Vynl. Set Coming Soon! A new Dumbo and Timothy  Vynl. Set is on its way. 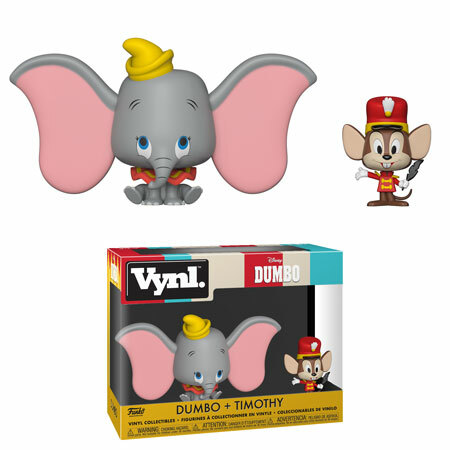 The new set features Dumbo and Timothy Mouse in Classic Vynl. Style. The set will be released very soon and should also be available for pre-order on EntertainmentEarth.com in the very near future. Previous articleNew Hot Topic Exclusive Diamond Collection Harley Quinn Pop! Vinyl Now Available Online! Next articleOfficial Photo of the upcoming Disney Parks Exclusive Alice at the Mad Tea Party Pop! Ride Released!